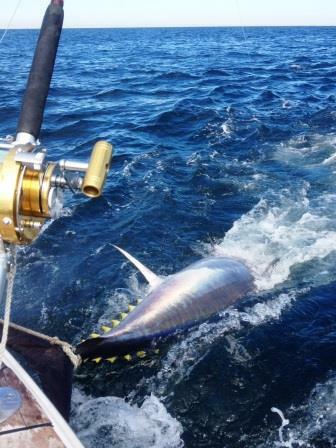 Anyone who fishes for giant bluefin tuna knows that “Tail Wrapped” means Done – You Got ‘Em! (Well, there are a few more things that could go wrong, but one needs to be real unlucky). We are happy to report seeing lots of this site lately – and plan on many more before the season ends. Tuna Hunter Fishing Charters will be fishing every day weather allows. Call 978-407-1351 or email captain@tunahunter.com to join us.